Elegant custom home with extraordinary floor plan! Living Area 4753 Sq. ft. This elegant custom home, designed by Bentley Homes, is built with the very finest of materials, details, and craftsmanship. The extraordinary floor plan, extensive millwork, and exquisite architectural details create an environment that is both sophisticated and comfortable. There are 10 foot ceilings, beautiful hardwood floors, an elegantly designed staircase, expansive eat-in kitchen, very charming fireside family room with custom built-ins and stunning, state-of-the-art new master bath with steam shower, radiant floors, soaking tub, and custom vanity. 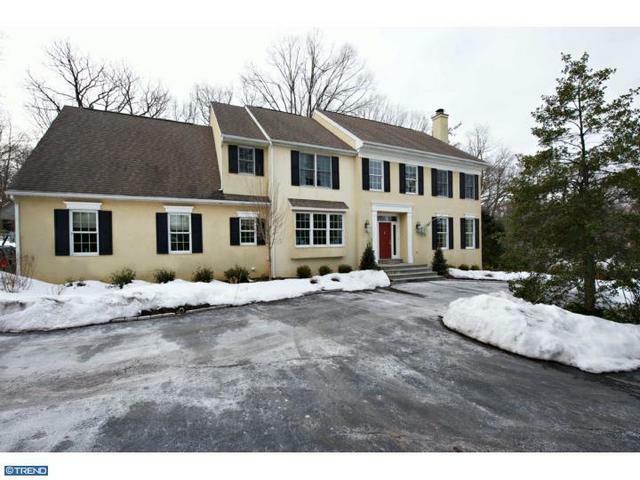 This wonderful home is ideally situated on almost an acre in the renowned Tredyffrin-Easttown school district. A must see!